Robert Bailey has been getting a free turkey since 2010. WOODLAWN — People waited in the cold Tuesday outside of Emmett Till Academy for free turkeys being distributed by a Muslim group. 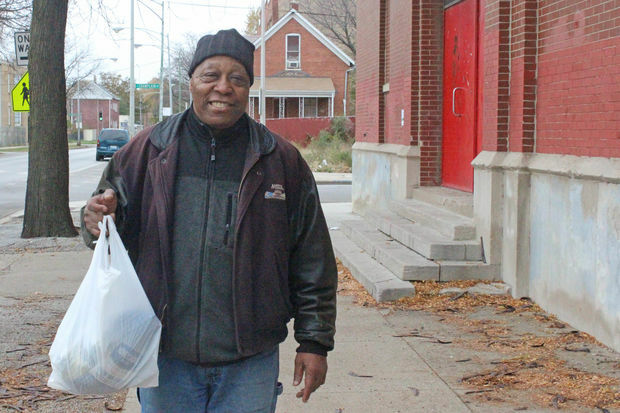 This is the 16th year that the Sabeel Food Pantry passed out the turkeys from the school, 6543 S. Champlain Ave.
Robert Bailey, 66, has been getting his free turkey since 2010. A friend told him about the location. “Times are pretty hard,” he said. Sheri Grover, 59, returned for her second year. Word of mouth travels quickly in the community, she said. “This is helping a lot because I wouldn’t get one otherwise, I only get $41 a month in food stamps,” she said. Volunteer Anam Eljabali said the organization passed out turkeys at eight schools this year, but started first at Emmett Till. The reason for coming to the schools is that it makes it easier for the families, she said. 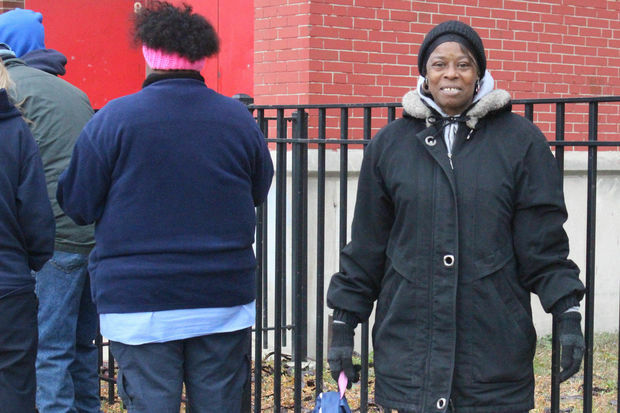 Eljabali said the organization passes out turkeys on the South Side because there’s a need, but she said it might also get rid of stereotypes some may have about Muslims. That’s not why they do it, though. “We have an obligation to help one another,” Eljabali said. Nakiomari Rogers works in the school’s office and has been helping for years. The school has about 340 students and many of their families need the help, she said. 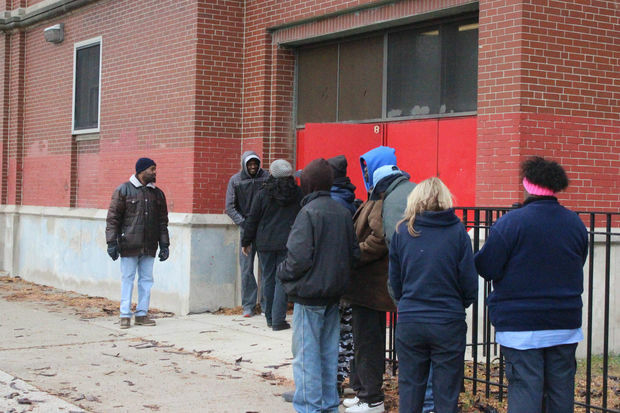 Parents were encouraged to participate in a parent-teacher conferences in exchange for tickets to cut in front of the line for free turkeys, Rogers said. The turkey is just an incentive. This year, the number of free turkeys has increased from 1,500 to 5,000 because of a matching grant from the Islamic Food and Nutrition Council of America, a nonprofit that is the largest halal certifier in the country.